 The Royal Exchange is the largest Theatre in the round in the country, seating up to 750 people on three levels. A 360° performance space means every audience member sees the performance from their own perspective, and with no seat further than nine metres from the stage. Fully accessible seating is available on Stage Level Rows B – E. Seats on Stage Level F – G, First Gallery B and Second Gallery B are raised seats, designed to give you a clear view of the stage. These seats are not recommended for individuals with mobility issues. Please note that there is no lift access to the galleries.. Discounts: Discounts are available after you select your seats. Appropriate ID will be required upon collection. For parties of 10+ or help selecting your seats, please contact the Box Office on 0161 833 9833 between 10am – 5pm daily. School bookings can be made via 0161 615 6702.